Each month on Siena Today, we will introduce you to a builder in Siena Round Rock. The builder will share with us some important information about the homes they build, the features they offer and help us get to know them. Have a specific question about Wilshire Homes in the Siena Round Rock neighborhood? Contact me and I’ll be glad to help. I’ve known Dave Freeman with Wilshire Homes for a long time and he has always taken great care of his clients, consummate professional and an all-around nice guy! Here he is to share with us! What stands out about Wilshire Homes? We’re a privately owned Texas company who has been around since 1988. We answer only to our home buyers, not to shareholders. We are the only LEED Certified builder in the community and we “Build Around You”, meaning that we will customize your home to fit your lifestyle. Why do you think Wilshire homeowners chose to own a Wilshire home? Our quality construction, attention to detail, and beautiful architectural touches always draw home buyers to us. Once they discover all of the superior building techniques we use to reduce energy costs, to reduce water use, and to create a healthy living environment, home buyers see great beauty and great value in our homes. What makes Wilshire a good fit for Siena? There are many different builders in Siena from which to choose. Wilshire Homes provides a choice for discriminating home buyers who are looking for a builder who has been in the central Texas market for nearly 30 years, who has high quality construction, who offers striking interior design (no cookie-cutter boxes), who gives guaranteed energy savings, and whose reputation for honesty and integrity is widely known. Having a builder in the community who is the “Production Home Builder of the Year” for the past two years lends credibility to a new community. What do you like most about working in Siena? More than anything, it is the wonderful homeowners who have chosen to live here. It is a community that really feels like “community.” Siena is a quiet and safe neighborhood made up of hard working people whose focus is on family and community. Siena is a wonderfully diverse neighborhood and there is real synergy between the community and the beautiful surroundings. Can you share with us a little about yourself and your history with Wilshire? I have had the great fortune to work for MHI (Wilshire Homes, Plantation Homes, Coventry Homes) for over five and one-half years. I’ve opened new communities in different areas, have closed out communities in other areas, and now have been in Siena for about two and one-half years. I’ve never enjoyed any of my other communities more than Siena. I just cannot see myself working for any other builder. In the end, Wilshire Homes always does what is right for its home buyers and for its employees. My wife (known to all, including me, as “Mrs. Freeman”) and I have grown daughters, we have granddaughters, and in July we’ll have a great-granddaughter. Wow! Without a doubt, I am the luckiest man on the planet. I have a healthy and happy family and I get to do what I enjoy doing every day – helping families make great decisions with their home buying needs. Are there any upcoming events, specials or promotions people should know about? Wilshire Homes doesn’t really get into “gimmicky” promotions. Our focus is to consistently be very straightforward and to be completely honest. That way, our home buyers know exactly what they are getting and what they are not. We’re not in the habit of marking things up just to mark them down. We always have some buyer incentives, but the incentives are tailored to each buyer’s specific needs. Is there anything you would want to share with current Siena residents? To all Siena residents, not just the really smart Wilshire Homes residents 😃, you are the best. You are what makes Siena such a special place. Please stop in the Wilshire Homes model and bring a friend. I never run out of fruit snacks for everyone! Thanks for sharing, Dave! If you have any questions about Wilshire Homes or want to know how you can become a proud Wilshire Homes owner? I’m a local Siena resident REALTOR and can help you make that dream come true! 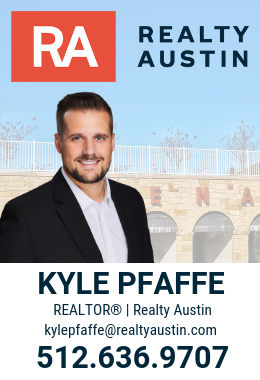 Contact me today or give me a call at 512-636-9707.